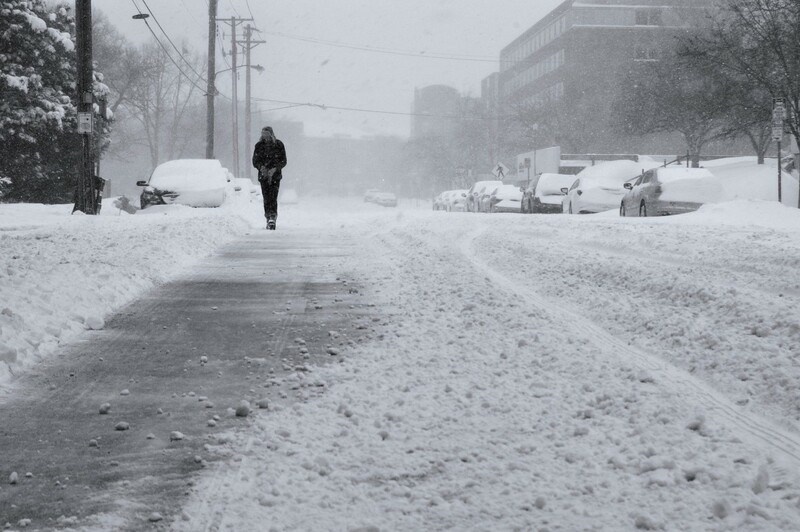 Snow, strong winds and plunging temperatures have prompted the warning. 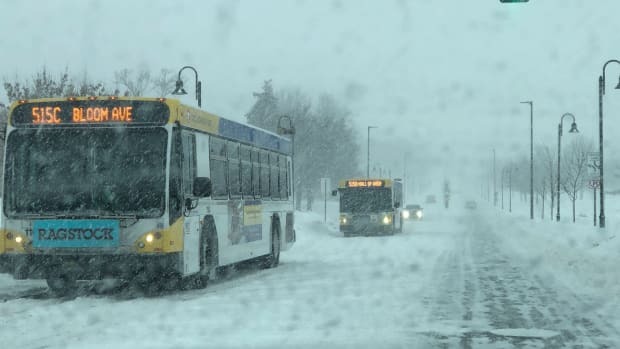 The National Weather Service has issued a winter storm warning for parts of central and western Minnesota as more snow arrives, along with some strong winds and frigid temperatures. A blizzard warning is also in effect for far western Minnesota along the North Dakota border. The NWS upgraded what was a winter weather advisory to a warning, saying this was due to the combination of 4-6 inches of possible snow (most of which has already fallen), 30+ MPH winds and "crashing temperatures" in the affected area. This area includes St. Cloud, Alexandria, Brainerd, Duluth and Hinckley, and it remains in place through 6 p.m. on New Year&apos;s Eve. In its forecast discussion, the NWS says that the extra snow and strong wind gusts will cause "low visibility and poor driving conditions." The "crashing temperatures" meanwhile will result in wind chills in the region of 25-35 below zero going into Tuesday morning. 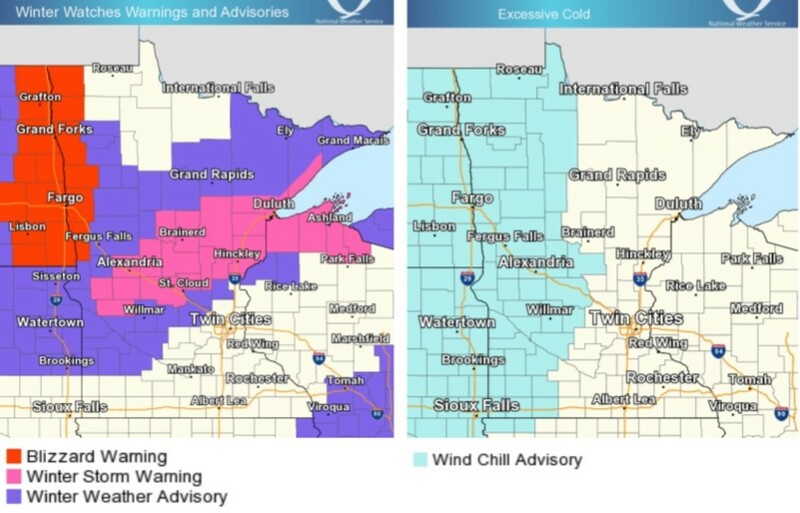 The wind chill in the Twin Cities, where very little snow is expected, will dive to 10-15 below zero. Such wind chills can result in frostbite on exposed skin in as little as 10 minutes. 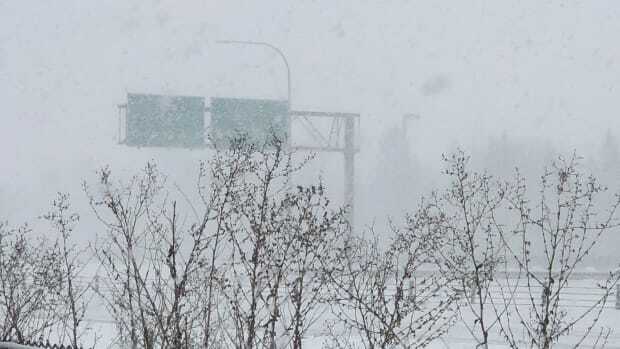 Heavy snow and strong winds will cause travel problems. 2 feet of snow is possible in western Minnesota. Winds will whip up to 45 mph in western and southern Minnesota. Strong northwest winds will make for a cold Tuesday and Wednesday.